Since 1992, Waves has been at the forefront of innovation and creativity, developing audio plugins and signal processors, breaking ground and changing sound. Created by a sound engineer and a musician, the duo's collaboration turned from a bright idea into a booming industry. Today Waves is a worldwide leader, used to create music heard on today's most popular records, reels, videos, video games, and more. Their hardware and software processors are used from wind-up to wrap, from broadcast to Broadway, from mixing to motion pictures, in-studio, on stage, and anywhere superior sound is essential. Any great sound you've heard is bound to have the Waves touch wound in. While there is plenty to pick from, let's hone in on Waves' plugins. Over 200 comprise the company's selection, "of pro-quality audio plugins, from the industry's most popular equalizers, compressors and analog models, to award-winning reverbs, delays, effects, virtual instruments, surround sound tools and more." No matter your need or desire, Waves has an inventory that goes above and beyond, with a history that dates back to their start in '92 with the introduction of their first audio plugin. The Q10 paragraphic equalizer was ahead of its time, a tool still popular today thanks to its sublime sound quality and reliable control. Get That Pro Sound touts Waves H-Series Bundle as one of their top 20 best music production plugin bundles. "A modern, intuitive interface that's fast and easy to use. Dial in exactly the balance you want of analogue character and clean modern bite and precision." Cymatics raves over Waves, "…all of their plugins are up to industry standards and sound amazing. Not to mention, they've actually teamed up with some of the best audio engineers in the world!" While difficult to narrow down their "best picks," Cymatics lists their top 15 Waves plugins for the modern producer. If you're stumped on which to select, this informative snapshot can help you focus on a favorite to soup-up your studio. Waves has a mission… "To develop and provide solutions that enable unparalleled sonic quality for all audio applications. Underscoring this achievement, Waves' award-winning audio processor plugins are now the standard technology for thousands of audio professionals in content creation." Are you ready to take your sound to the supreme? Ride the wave with Waves. And don't miss their current Mixer's Toolbox Flash Sale. 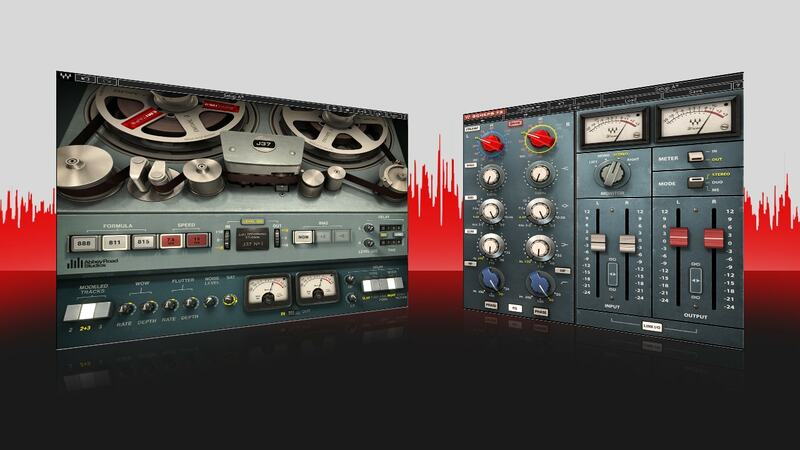 Analog modeled plugins are just $29. Now that's music to anyone's ears!